Today is Monday, June 12, the 163rd day of 2017 in the Gregorian calendar, with 202 days remaining. Donald Trump has been President of the United States for 144 days. There are 1,319 days remaining in his term, assuming he doesn't resign or is otherwise removed from office. 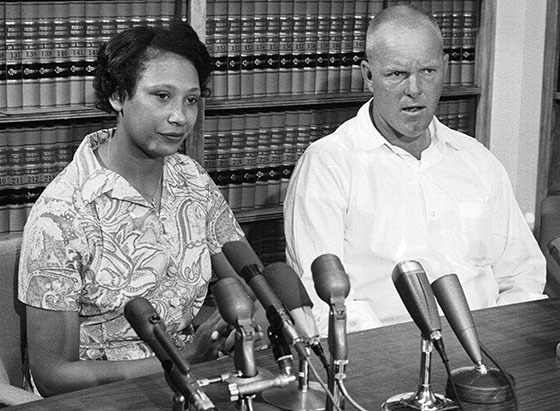 On this day in 1967, The United States Supreme Court in Loving v. Virginia declares all U.S. state laws which prohibit interracial marriage to be unconstitutional. Although not a national holiday, Loving Day, observed on June 12 each year, is the biggest multiracial celebration in the United States. Among other things, today is also National Peanut Butter Cookie Day. Florida man called 911 to get a ride to Hooters. "I see the world gradually being turned into a wilderness, I hear the ever approaching thunder, which will destroy us too. I can feel the sufferings of millions and yet, if I look up into the heavens, I think that it will all come right, that this cruelty too will end, and that peace and tranquility will return again. In the meantime, I must uphold my ideals, for perhaps the time will come when I shall be able to carry them out." At the very least, MSNBC should spring for a food taster. If anything happened to her, my mother would be crushed. All KGB Report content is available for free, with no subscription fees or pay walls. If you're a regular reader, please consider making a donation here, with your PayPal account (credit cards also accepted here)... it's secure and protected. The National Park Service will drain the Lincoln Memorial Reflecting Pool after approximately 80 ducklings were found dead, including 53 in one day. The culprit is a parasite that grows in snails that live in the pool. Humans who come in contact with the parasite could develop cercarial dermatitis, better known as "swimmer's itch." It's not contagious and rarely requires medical treatment, but it's uncomfortable. Crews will refill the pool next Friday and things should be back to normal the following week. And no, this does not count as "draining the swamp." Here's a handy tool with an easy-to-remember URL: www.trumptwitterarchive.com. Conveniently broken down by categories like latest tweets, fake news, losers, etc. And Slate analyzes How Trump wins Twitter. Donald Trump's state visit to Britain put on hold. Theresa May told he did not want trip to go ahead if there were large-scale public protests.